Much buzz and ado about Anthony Bourdain's passing greeted all of us last Friday evening. With many friends, colleagues, and even strangers whose lives were touched by Bourdain reaching out to social media to express their deep regret for the loss of such a down-to-earth icon. It would be a disservice to call Bourdain simply a culinary sensation or TV show host, for he was far more than that. He investigated the human condition through food, culture, travel, and the cogs behind these ideological structures. His award-winning show, Parts Unknown was a departure from No Reservations -- the latter of which he criticized for being far too commercial. Born in New York to Pierre & Gladys Bourdain, Anthony stumbled upon his love for cuisine quite effortlessly. In his hit novel, Kitchen Confidential: Adventures in the Culinary Underbelly, he recalls when his family vacationed in France one summer, where he tried an oyster on a fisherman's boat. He relates that this small moment made him realise his love for food. This led him to pursue a career in the culinary arts. Eventually, he found himself working in numerous kitchens around some of New York's finest restaurants. As he often mentioned in his show, It was at this time of his life that he battled with drug addiction. A memory he often cites when discussing the conditions behind restaurant kitchens. Due to his success in publishing, Bourdain was tapped by the Food Network for a cooking show: A Cook's Tour. This eventually led to No Reservations, The Layover, and eventually, Parts Unknown. What made Bourdain stand out was his authenticity and candor. He was a critic of many injustices in the field and he used his show to talk about more than just food but moreso how it created, perpetuated, and reflected a people's culture. He was adventurous and witty on screen, with a natural charisma that rivaled every other TV personality. One of the more memorable episodes of his show was shot in Vietnam, in a small noodle shop, as Bourdain shared a bowl with then-US President Barack Obama. This was characteristic of Bourdain -- simple, unnerving, and honest. In another stint, he travelled to the streets of Metro Manila for a plate of Jollibee Chickenjoy. A staunch and almost brutal critic of fast food, it was a delightful surprise when Bourdain spoke lovingly of the iconic Filipino meal. This episode not only touched on the busy streets of Manila, but moreover, Bourdain talked about things like Balikbayan Boxes and how they symbolised Filipino fortitude despite difficulty. Although he travelled to numerous places, Bourdain avoided the brouhaha of fanciful dining. Instead, he brought the unknown into our homes, teaching us to explore off the beaten path. His humour was infectious and his honesty, disarming. 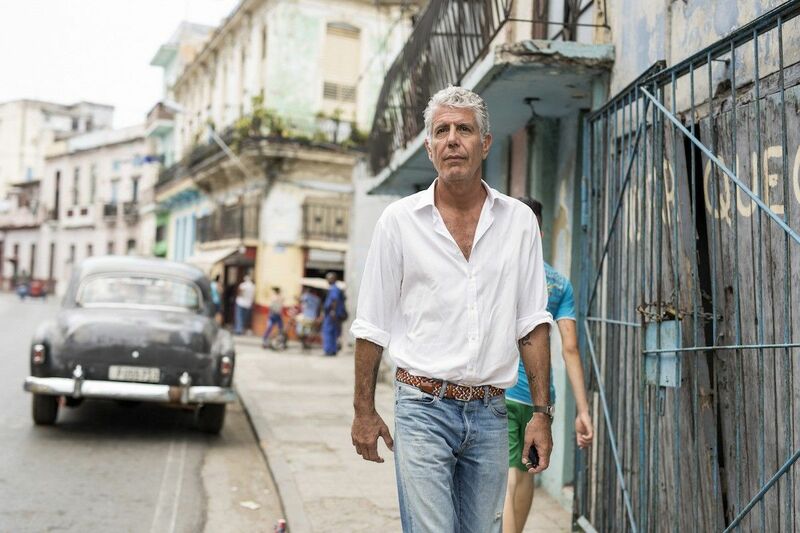 Bourdain blended the simple with the sublime in his quest for what was outstanding. Anthony Bourdain’s passing represents loss for all of us who love life and living with passion. His wry humour allowed us to vicariously travel with him through his adventures with food in places we long to discover. Truly an inspirational man, Bourdain will be remembered for the way he touched many lives through his geniune character and love for the mundane. Additonal Words by Irene Martel Francisco.